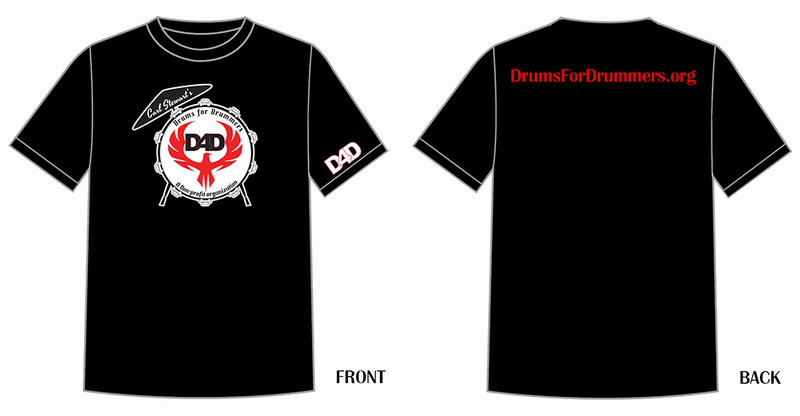 Show your support and purchase a Drums for Drummers T-Shirt. This Hanes Beefy-T was built to last. That’s a real silk screen print, not a quick fade heat transfer. Three sizes to choose from.